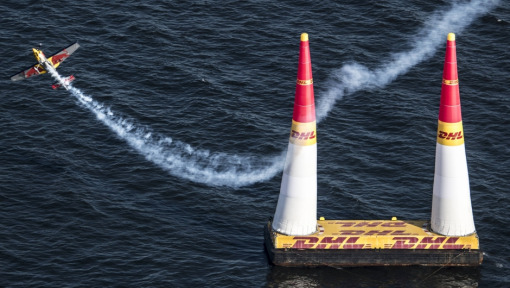 As the official logistics partner to the new dimension of motorsport, DHL, the world's leading logistics company, puts its expertise to the test to ensure the raceplanes can take to the air at eight iconic locations around the world. 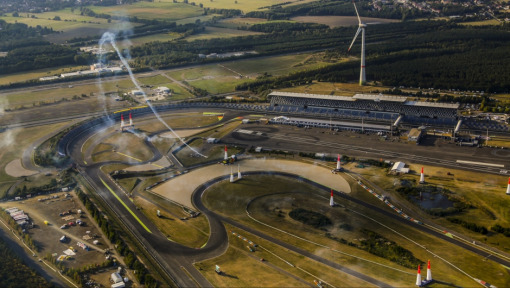 The "logistics race" begins as soon as the final Red Bull Air Race pilot flies through the Hamilton finish gate. The work of dismantling the race infrastructure - including boxing up the aircraft - can take up to three days. The schedule is tight and everything has to run like clockwork to ensure this completely self-contained event travels over land, air and sea without a hitch and a minute lost. The mode of transport depends on the location and race schedule, with multi-modal solutions in place for most routes. 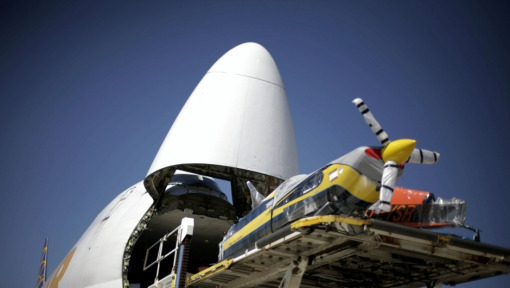 With ample time and a lot of water between Abu Dhabi and Cannes, Red Bull Air Race is packed into 40+ ocean freight containers for the journey from the Persian Gulf to the Mediterranean Sea, with some items sent ahead by plane. Once inside continental Europe, the close proximity of races and an excellent roadway system make overland travel ideal. The second half of the season sees the Championship begin and end in Asia with stops in Russia and the United States along the way. 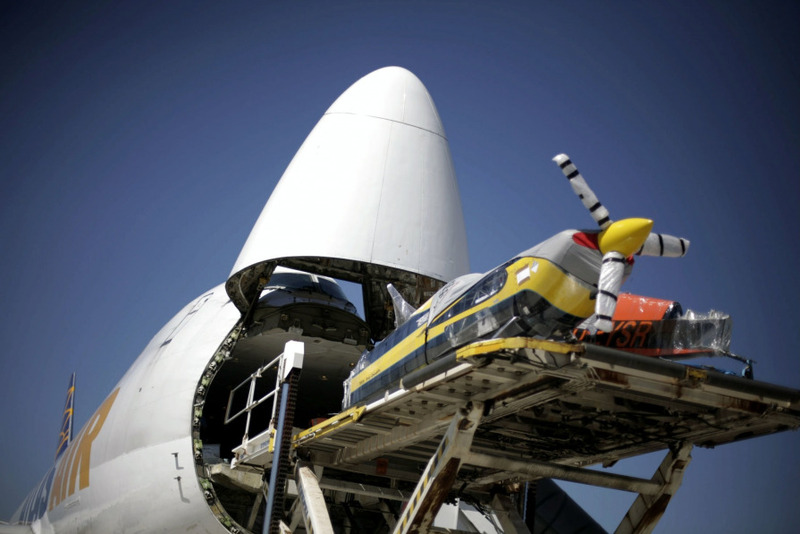 With two events in August and only a month between Indianapolis and the season finale in Asia, the logistics race takes to the skies in two mighty Boeing 747s, with heavy freight following via land and sea. 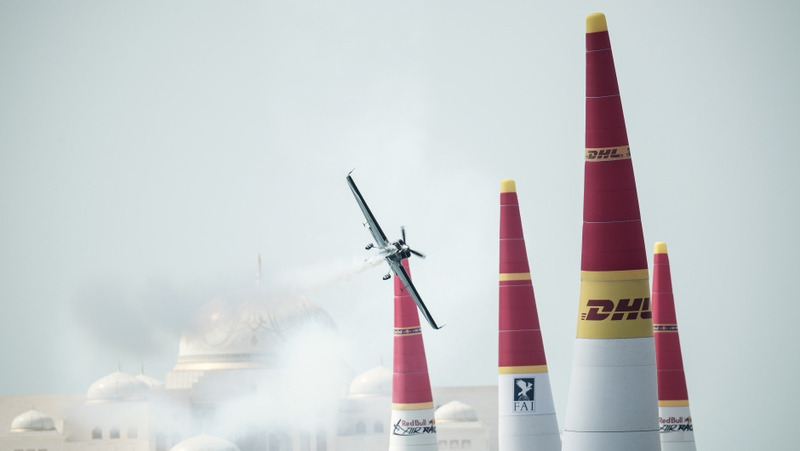 DHL manages the entire logistics process for the Red Bull Air Race World Championship, which includes transportation of the aircraft, spare parts and other racing equipment as well as event infrastructure and broadcasting equipment. The Championship travels over 70,000 kilometers to eight races on three continents - with the total weight amounting to some 3.5 million kilograms by the end of the season. The aircraft - so swift and agile in the air - are bulky and fragile on the ground. Extreme precautions must be taken to ensure they arrive safely and securely. The 14 master class and three challenger class aircraft delivered by DHL are first disassembled by removing the wing and tail components. The wing is placed in a custom-fit, eightmeter-long flight case, while the tail travels in its own customized box. The fuselages are loaded in pairs on standard 20-foot racks known as "cookie sheets" and secured with additional stabilizing elements to minimize movement in transit. While pilots and technicians pack up their planes and gear, everything else that is needed for the race is prepped for transport. From the 25-meter-high, air-filled pylons, that make up the six-kilometer racetracks, to the cameras and cables used by the broadcast team, it all must be packed and boxed in compliance with international shipping requirements and national import laws. The hangars, safety boats, dive equipment and even the contents of the VIP Skylounge go along for the ride. The event infrastructure alone weighs in at a whopping 200 metric tons. Speed and agility is just as important for DHL on the ground as it is for the pilots in the air. Moving this amount of freight around the world comes with its own set of challenges, especially given the unique and extremely sensitive equipment, time constraints and multiple modes of transportation - with those challenges varying from race to race. The logistics is not only about safely handling delicate equipment, it's also about efficiently moving it across the globe into some of the world's top tourist destinations. DHL's team of international logistics experts utilize the Company's global network to map out the route, handle the complex customs clearance process, and explore every detail of the venue and the surrounding area in order to understand the requirements and challenges long before the freight arrives. The DHL Fastest Lap Award took off in 2016 in celebration of the speed and perfection needed to fly first through the finish gate. At each race, the pilot who clocks the fastest single lap in all of the two-lap qualifying runs is awarded the DHL Fastest Lap, with the trophy presented at the end of the season to the pilot who chalks up the most. In 2017, the honors went to Pete McLeod, who captured the award ahead of the season finale at the iconic Indianapolis Motor Speedway. The Canadian set the best time in qualifying in Chiba, Budapest, Kazan and Porto, establishing an unassailable lead. 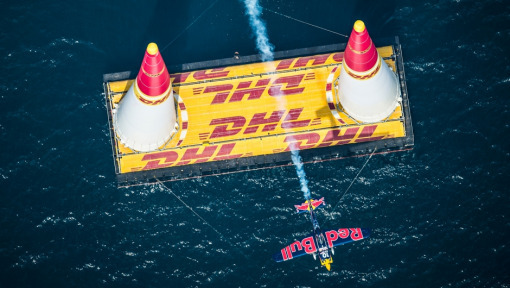 As the Official Logistics Partner of Red Bull Air Race and other world-class events including Formula 1, the ABB FIA Formula E Championship and MotoGP, DHL has a proven track record for successfully delivering global motorsports events around the world. We are proudly committed to our partners and dedicated to offering innovative solutions for complex logistics challenges. 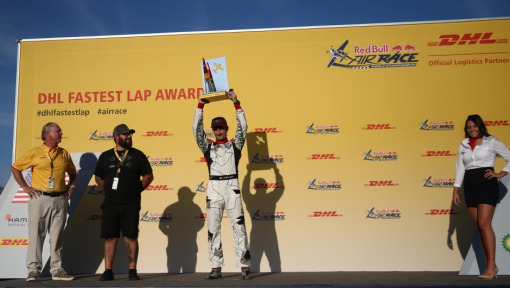 COMPETITION: TRAVEL TO RED BULL AIR RACE IN INDIANAPOLIS AND PRESENT THE DHL FASTEST LAP AWARD TO THE WORLD CHAMPION! 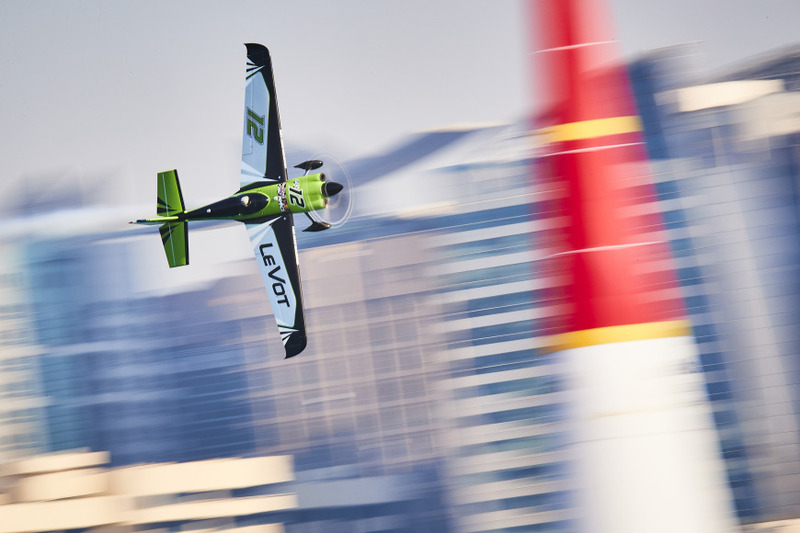 COMPETITION: TRAVEL TO RED BULL AIR RACE IN LAS VEGAS AND PRESENT THE DHL FASTEST LAP AWARD!